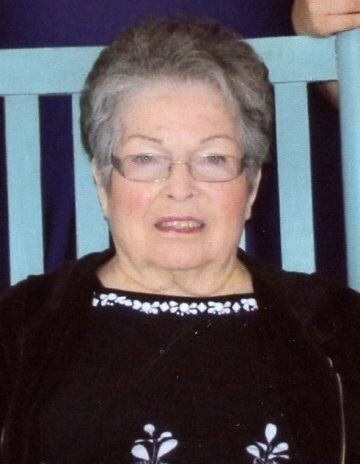 Emma Thompson Cotterman Murphy, 82, passed away on Thursday, June 28, 2018 at her home. Visitation will be held from 3:00 p.m. until 4:00 p.m. on Sunday, July 1, 2018 at Turners Chapel Church. Funeral service will be held at 4:00 p.m. on Sunday, July 1, 2018 at Turners Chapel Church with burial following at Oak Ridge Memorial Park in Pink Hill. Emma was preceded in death by her husbands, Master Sgt. Ted C. Cotterman and Cecil Murphy; sisters, Mary Lee Jones and Hattie Gersema; brother, Dolphus Thompson, Sr.
Emma is survived by her daughters, Kelly McIntyre (Ron) and Teddye Park (Michael); son, Todd Cotterman (Sarah); step-daughters, Vickie Mervin and Donna Herring (Rickie); 5 grandchildren: Ashley Quick, Ted Park (Shannon), Emily Cotterman, Meagan Park, John Cotterman and 5 great-grandchildren: Carly, Mason, Madison, Myles and Trent; sisters, Mavis Smith, Ellen Thompson, and Gay Thompson; and brother, Elbert Thompson.